[George III, King of England, writes on the eve of his first bout of insanity.] 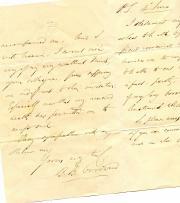 Disordered Autograph Letter Signed ('G. R'), in the third person, giving agricultural directions to 'Robinson', i.e. his shepherd at Windsor Ralph Robinson. The recipient, Ralph Robinson, was George III's shepherd at Windsor, and the king (whose interest in agriculture earned him the nickname 'Farmer George') published contributions to the Annals of Agriculture under Robinson's name. 1p, 4to. Aged, soiled and worn in the folds, the wear taking in part of the royal signature. Archivally repaired, and with thin strip of paper from mount adhering to the blank reverse. 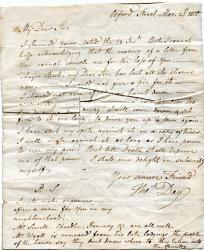 An unusual letter, showing the king's meticulous attention to detail. Surviving top half of an Order, 20 x 18cm, small closed tears, grubby, fold marks, text clear and complete as far as it goes. The recto contains the terms of the Order (cash for distribution by William, Duke of Cumberland to staff in Windsor Forest [Windsor Royal Park. The verso is signed by Cumberland's Comptroller, "July 22 1760 | Reced the within contents \ [signed] Wm Windham | Witness [signed] Peter Couture [Steward in the Duke's "establishment"]. [ Edward Disbrowe, Vice-Chamberlain to Queen Charlotte. ] Two Autograph Letters Signed (both 'E Disbrowe') to Lord Valentia, concerning the presentation to the Queen at Windsor of his 'Voyages and Travels to India'. The first letter without place or date; the second from Windsor, 16 August 1809. Both items 1p., 8vo. Both in fair condition, on aged paper. ONE: Without date or place. If Valentia is 'likely to be detained in the Country' it might be best to order the book to be forwarded to Disbrowe, and he will 'present it to Her Majesty in your Name - I have no Doubt the Queen will be highly gratified by so valuable a present'. TWO: Windsor; 16 August 1809. He has 'had the Honor of receiving The Queens Commands' to thank Valentia 'for the very valuable present of a very fine Edition of Your Work. It will cut a very conspicuous Figure in Her Majestys Library'. [ George Graves, comic actor. ] Autograph Letter Signed, a warm letter of condolence to the widow of the composer Herman Finck. On letterhead of 96 New Cavendish Street, W.1. [ London ]. 22 [ April 1939 ]. 2pp., 12mo. In good condition, lightly aged. The letter is addressed to 'My poor dear', and he writes 'with deepest sympathy' with 'your terrible loss of dear Herman. I little thought that my last visit would be the last.' It is 'perhaps poor consolation' to her, but Finck's passing 'hits all his pals very hard indeed. For he was dearly loved by everybody.' He urges her to 'Be brave, my dear, & be sure we are all thinking of you in this awful time.' 'Ans:' (i.e. 'Answered') is written at the head. See Graves's entry in the Oxford DNB. [ Sir Richard Dundas Harington of Ridlington; dancing bears in Windsor ] Autograph Letter Signed ('Dickie') to his brother 'Jackie', sending news of 'Italian tramps' and dancing bears at Eton College. On letterhead of Eton College, Windsor. 'Saturday April 1st 1916'. 4pp., 12mo. Bifolium. In envelope, with stamp and postmark, addressed to J. C. D. Harington Esq. | 15 Wilton Street | Eaton Square | London S.W.' In fair condition, lightly aged. Considering the date of this letter, the possibility that it is a joke cannot be discounted. [ Major-General Sir John Clayton Cowell, Master of the Queen's Household and Governor of Windsor Castle. ] Autograph Note Signed ('J. C. Cowell') to the Lord Bishop of St Helena [ Piers Calveley Claughton ], presenting a portrait of Prince Albert. On embossed Windsor Castle letterhead. 29 November 1860. 1p., 12mo. In good condition, on aged paper, in aged franked envelope ('J. Cowell') addressed to 'The Right Reverend The Lord Bishop of St. Helena.' Reads: 'My Lord - | I am desired by His Royal Highness, Prince Alfred, to forward you the accompanying portrait of himself. | Believe me | My Lord | Yours faithfully. | J. C. Cowell'. [George Hogarth, music journalist and father-in-law of Charles Dickens.] Manuscript volume, labelled 'No 1 DECEMBER 1837 1838', containing lists of music performed by a band (for Queen Victoria?) on 172 dates, some at Windsor Castle and London. Windsor and London, 4 December 1837 to 5 October 1838. Binder's ticket of 'W. Creswick, Paper Maker, 5, John Street, Oxford Street' on front pastedown. 172pp., 16mo (10 x 6.5 cm.). In original green leather quarter-binding, with marbled endpapers and label on front cover: 'No 1 | DECEMBER | 1837 | 1838'. Aged and worn, with the contents of the volume detached from the binding, and the signatures loose through breaking of the stitching. In pencil beneath the binder's ticket on the front pastedown: 'Hogarth | 10 Powis Place', with this address continuing at the foot of the first page: 'Gt Ormond St'. Unpublished Holograph First World War Poem (signed 'H W Aubrey') by English army officer Captain Henry Wentworth Windsor Aubrey [H. W. Aubrey], titled 'To our offspring - America' ('You're blood of our blood, & bone of our bone'). Captain Henry Wentworth Windsor Aubrey [H. W. Aubrey] (c.1859-1934), M.R.C.S., L.R.C.P. No place. Dated 24 July 1918. Henry Wentworth Windsor Aubrey was commissioned a 2nd Lieutenant in the Dorset Regiment Militia on 21 April 1875, and resigned his commission three years later. He qualified as a Doctor in 1885 and practiced in Clifton, where he was a keen cricketer and golfer. During the First World War he served in the RAMC, reaching the rank of Temporary Captain (Home) on 1 December 1917. 2pp., 8vo. In good condition, on lightly-aged paper, with a couple of minor water stains to one corner. [William Maynard, 2nd Baron Maynard.] 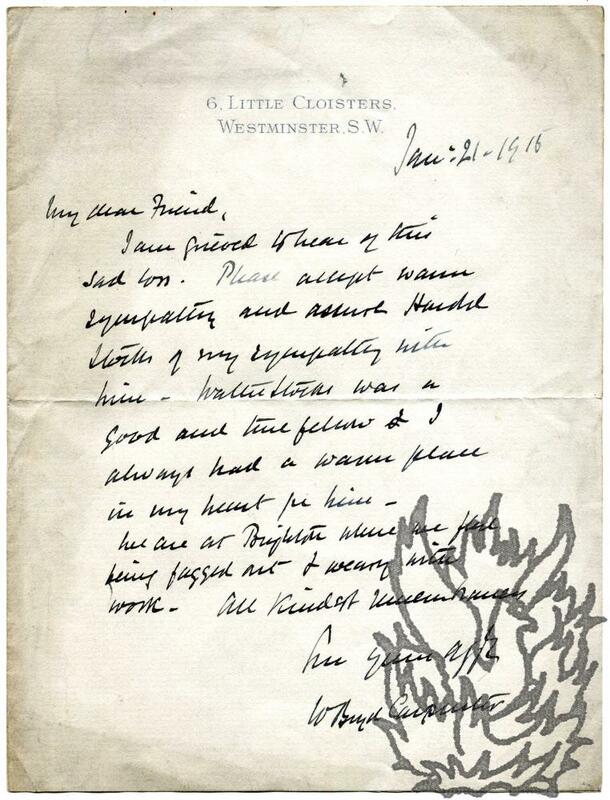 Autograph Letter Signed ('Maynard') to Sir Richard Bulstrode, expressing puzzlement that his grandson should have visited Brussels without calling upon him, and asking him to show the boy favour. 'Windzor' [i.e. the Royal Court at Windsor]. 25 June 1686. 2pp., 12mo. 49 lines of text. Bifolium. In very good condition, on lightly-aged paper. Addressed, on reverse of second leaf (which also carries his seal): 'For Sr Richard Bulstrode | Envoy from his Matie of greate Brittaine Att ye Court | Att Bruxells | these'. Printed order of British Privy Council, 'At the Court at Windsor, the 26th day of September 1846', describing 'the several duties of Customs' to be levied 'upon all goods, wares, and merchandize, imported into the district of Natal for consumption'. Drop-head title: 'At the Court at Windsor, the 26th day of September 1846. | PRESENT, | The QUEEN's Most Excellent Majesty in Council.' 12pp., foolscap 8vo. Paginated 1-12 and in two columns. No printer's slug. Signed in type at end 'Wm. L. 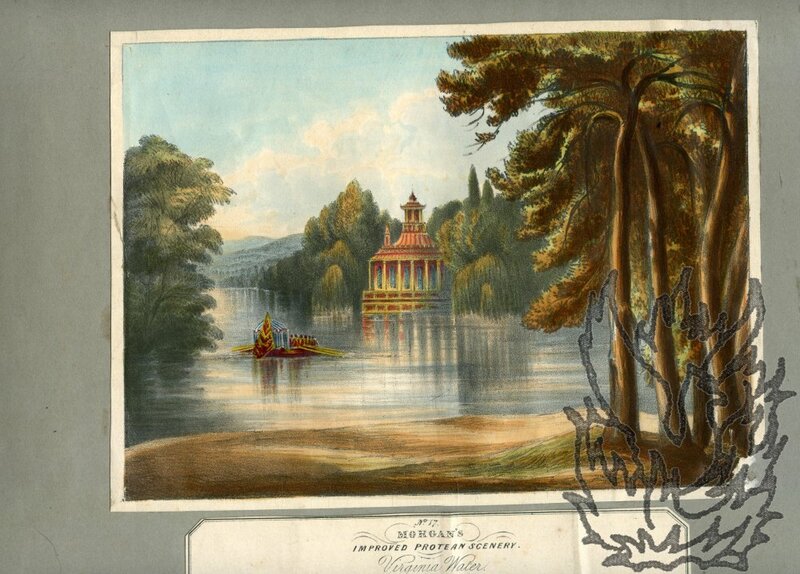 Bathurst.' In fair condition, on aged paper with chips and short closed tears to central vertical fold. Spine repaired with archival tape. The first page headed in black ink manuscript 'Natal', and in red ink '144'. No other copy traced. Henry Wentworth Windsor Aubrey was commissioned a 2nd Lieutenant in the Dorset Regiment Militia on 21 April 1875, and resigned his commission three years later. He qualified as a Doctor in 1885 and practiced in Clifton, where he was a keen cricketer and golfer. During the First World War he served in the RAMC, reaching the rank of Temporary Captain (Home) on 1 December 1917. The six items (including Item Four, a typescript of Item Three) are in very good condition, on lightly-aged paper. Typed Letter Signed, from 'V. P. 10/12', accusing the former King Edward VIII of 'obvious dereliction of duty', and expressing 'relief and satisfaction' that he has decided to abdicate. On letterhead of the Hotel Astoria, Copenhagen, Denmark. Initialled "[? ]P 10/12" (10 December"2pp., 4to. In good condition, on lightly-aged paper. 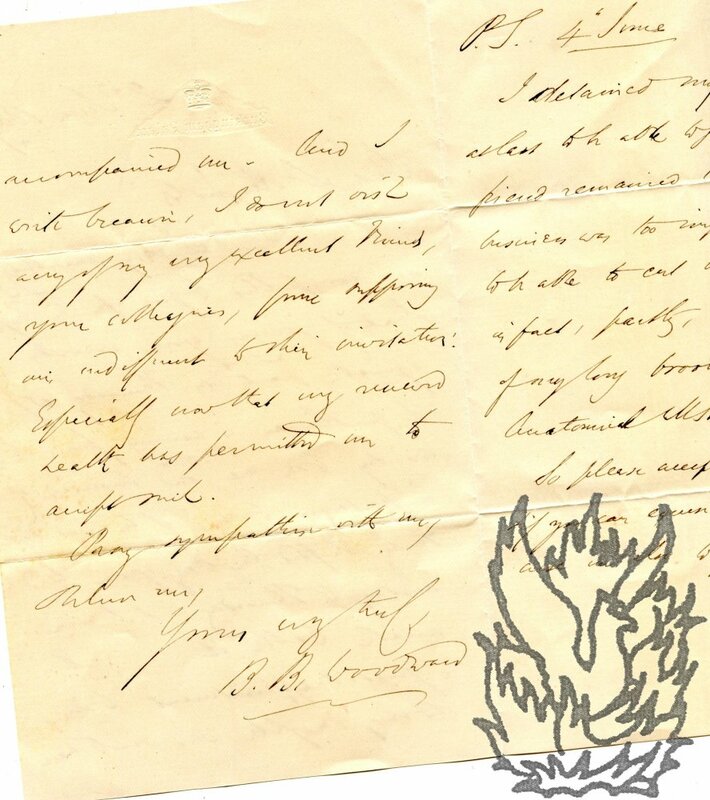 A number of minor autograph corrections suggest that the author of the letter may not be a native English speaker. Eleven Autograph Letters Signed from the historian of France Professor Douglas Johnson to Alan S. Baxendale, mainly about their joint article 'Uganda and Great Britain'. With typescript of the article, memorial pamphlet on Johnson, and other matter. 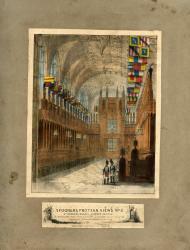 Mostly on letterheads of the School of History, University of Birmingham. Dated items from 1963, apart from one from 2004. Nineteen items, in good condition, on lightly-aged paper, arranged in the following description into seven sections: ONE. Nine Autograph Letters Signed (two more are in sections Two and Three below) from DJ to ASB. Totalling 3pp., 4to; 15pp., 12mo (12 of them landscape); 5pp., 16mo. Four dating from 1963, one from 2004, and the other four undated (but apparently also from 1963). One signed 'Douglas', another 'D. J. ', and the other seven signed in full. All but one, which is addressed to 'Alan', addressed to 'Baxendale'. Eight on letterheads of the School of History, Birmingham University. Autograph Letter Signed from the author Edith Sichel, thanking Lady Mary Ponsonby for sending the 'adorable manuscript' of her memoir, and discussing the way in which the 'whole Court lives' in it. On her letterhead at 353 East 72nd Street, New York 21. 29 December 1947. 4pp., 12mo. 49 lines. Bifolium. On aged and creased paper, with remains of stub. In what appears to be a reference to the memoir by Lady Ponsonby that was published after her death (London: John Murray, 1927), Sichel (at the risk of appearing 'an impertinent Bore') thanks her 'for that adorable manuscript': 'You have made me so happy these days, transported me so entirely to the world I longed to see, that it would really be ungrateful not to say how much I thank you. The whole Court lives, and the Queen most of all, & Prince Albert. Autograph Letter Signed ('Sarah Lyttleton') from Lady Lyttleton to the Rt Hon. Thomas Grenville, expressing Queen Victoria's pleasure at a visit to Stowe House, and her regret at his absence. Windsor Castle. 29 January 1845. 4pp., 12mo. Fair, on lightly-aged paper. She begins: 'I could not but tell the Queen how kindly you had expressed the pleasure which the Royal visit at Stowe had given to the Duke & Duchess. - And Her Majesty was exceedingly pleased and flattered - and desired me to tell you from her, how delighted both she & the Prince had been by their reception, & the whole visit; which to Her Majesty & the Prince, had but one drawback - and that was, the not having met you there, which would have realised the great wish they both entertain, of being introduced to you'. Autograph Letter Signed ('B. B. Woodward') to 'Dr Reynolds'. 2 June 1869; on embossed Buckingham Palace letterhead. 12mo, 3 pp. Bifolium. Thirty-three lines of text. Good, on aged paper, with slight traces of glue from mount on blank reverse of second leaf. Apologising for not being able to join Reynolds' party, because of the visit of 'a gentleman' who 'is coming from the country to me on business of importance to me'. This is also disappointing to his daughter, who would have accompanied him. 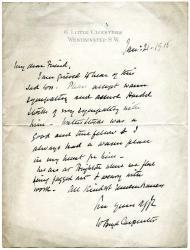 He hopes his 'excellent friends', Reynold's 'colleagues', will not suppose him 'indffierent to their invitation! Especially now that my renewed health has permitted me to accept <?>'. 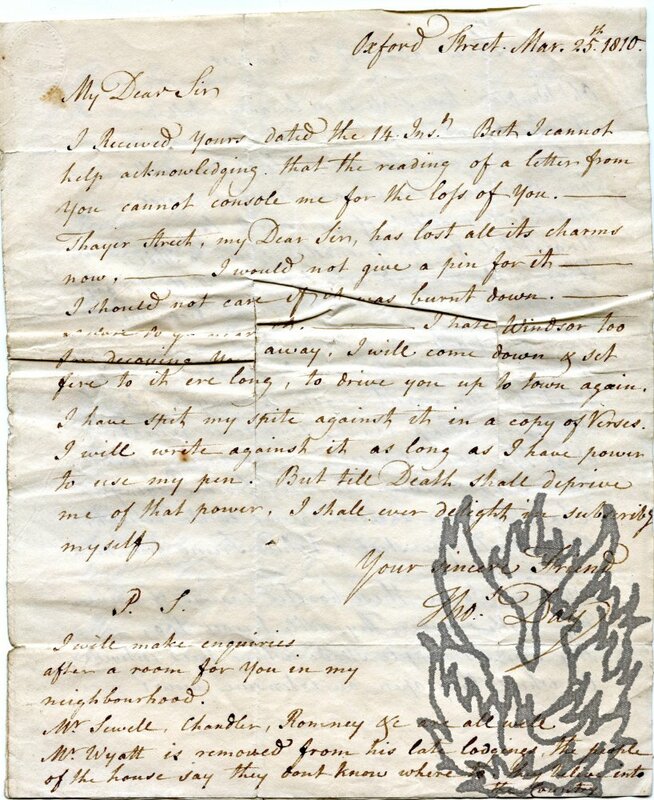 Autograph Letter Signed ('Thos: Day') to 'Edmund Taylor Esqe | Castle Yard Windsor | Berkshire', including original unpublished forty-line manuscript poem by Day entitled 'Lines address'd to Windsor', in which he has 'spit his spite' on the town. 25 March 1810; Oxford Street. The work of a cultured and witty man, but not by the author of 'Sandford and Merton', who died in 1789. While possible authors include the 'Mr. Thomas Day, solicitor, Woburn, Bedfordshire', whose death at the age of 47 on 18 February 1824 was reported in The Times (5 March 1824), and the Thomas Day who lived around this time at Montague Street, Russell Square, the most likely candidate, considering the references to 'Romney' and 'Wyatt' is the Thomas of 'DAY William, and Thomas Day, of No. 95, Gracechurch-street, in the city of London, oilmen', who went bankrupt in 1841. 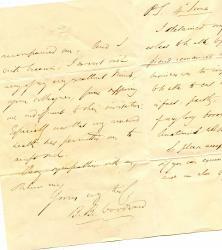 Autograph Letter in the third person. 7 February 1847; Windsor Castle. 12mo: 2 pp. Small embossed gilded crest in top left-hand corner of first page. On lightly discoloured paper, with several folds for postage and crease to one corner. Small square cut away from blank second leaf of bifolium, which also carries traces of previous mounting. 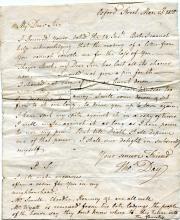 A formal letter written in the third person. 'The Queen wishes the Members of the New Council for the Duchy of Lancaster to be sworn in at Buckingham Palace on Saturday the 13th. at 3 o'clock.